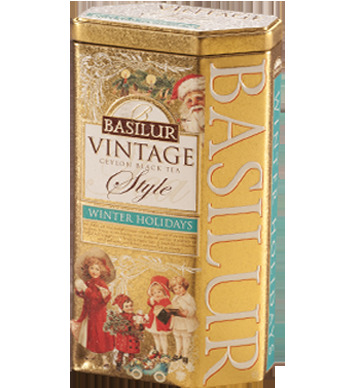 Basilur's vintage tea collection is inspired by the rustic charm of "all things vintage". The sheer luxury of antique beauty and the goodness of pure Ceylon tea will add a touch of class to your tea drinking experience. The antique designs of these vintage tea caddies will draw you back to centuries of royalty. Bask yourself in luxury as you indulge in this exceptional collection of tea. 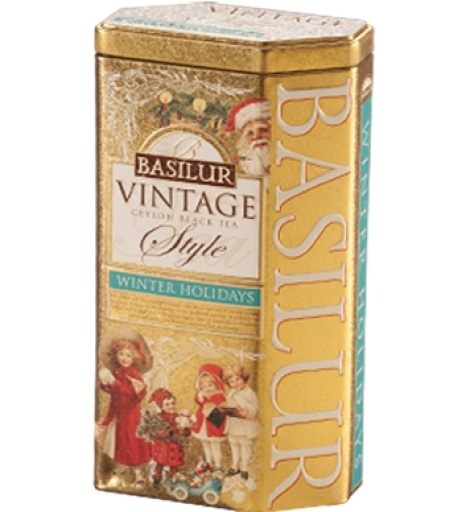 Available in 100g loose/leaf tea in metal tin caddies.